Used 2012 Ford Edge 4dr SEL AWD for Sale in Scranton PA 18505 Jadta Fine Cars Inc. TEXT US NOW AT 570-740-3685................. ALL WHEEL DRIVE, SEL TRIM LEVEL, V-6 ENGINE, POWER WINDOWS, POWER LOCKS, POWER MIRRORS, POWER SEAT, POWER HATCH RELEASE, FOG LIGHTS, PRIVACY GLASS, ALLOY WHEELS, PREMIUM SOUND WITH AUX PORT AND USB PORTS, TILT WHEEL, CRUISE CONTROL, STEERING WHEEL AUDIO CONTROLS, AIR CONDITIONING, ON-BOARD MPG COMPUTER, AIR BAGS, ABS BRAKES, TRACTION CONTROL, LOW LOW LOW MILEAGE...….. WE SPECIALIZE IN FINANCING FOR ALL CREDIT TIERS !! *** ALL VEHICLES HAVE 2 DIFFERENT PRICES *** You’ll see two different prices for each vehicle on our website www.jadta.com The higher price includes a 12 MONTH X 15K MILE JADTA-LICIOUS WARRANTY BY Proguard Warranty Co., and the lower price does not include any warranty, so you’d be purchasing it under the same terms that you took your spouse…… for better or for worse (lol). Qualified vehicles can be covered for warranty terms of up to 4 years or 50,000 miles for an additional fee. We accept trade ins, and we can arrange shipping anywhere in the U.S, Canada, or Mexico. 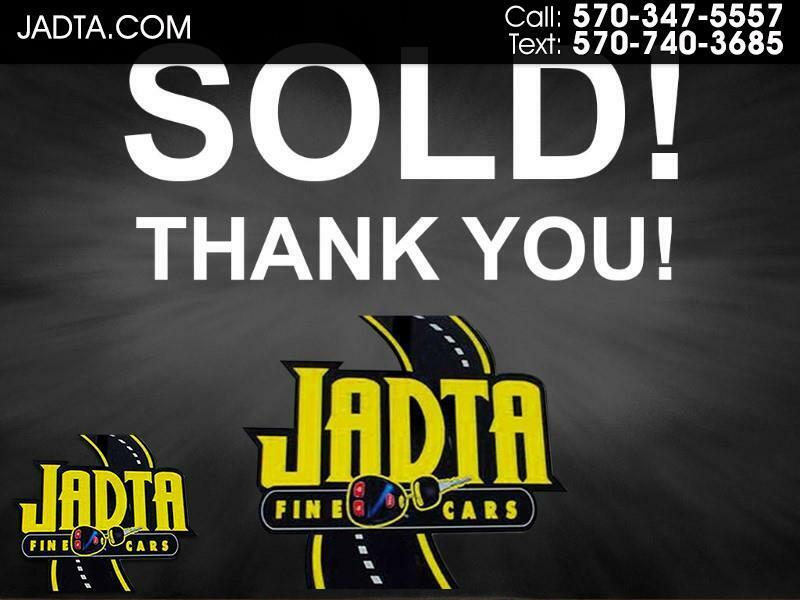 ================================================== Jadta - Fine Cars is a family owned /operated dealership that was founded in 1974, by it's current owner, Artie Brooks. We are an AWARD -WINNING dealership as we've received 2016 DEALER OF THE YEAR presented by Proguard Warranty, and we are also the proud recipient of the 2017 TOP DEALER AWARD presented by Carguru. ============================================== Disclaimer: Sales Tax, Title, License, Registration, Notary Fee, and Dealer Service Fee, are not included in our advertised prices. Prior Sales Excluded and all sales are final. This offer cannot be combined with any other discount, offer, or promotion.